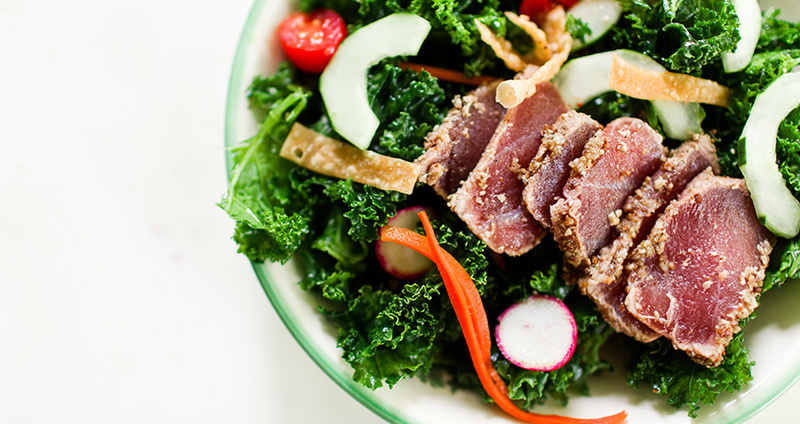 Are you ready to take your healthy eating game to the next level? We all want to “eat healthier,” but when it comes down to actually sticking to a healthy diet, we all sometimes fall off the wagon. It’s much easier to grab a handful of chips or buy takeout again instead of prepping dinner or lunch — but eating healthy doesn’t have to be as complicated as you might think. With these simple tips and tricks, you can make healthy eating easy. You know the old adage, “Failing to plan is planning to fail.” That’s true whether you’re got a big deadline at work or you’re striving to cook nutritious meals. Try picking one day (Sundays work well for this) in which you plan out your meals for the upcoming week – lunches, too! – and make a master shopping list. While you’re at it, do a bit of prep work for the days ahead. Whisk vinaigrette to store in the fridge; cook a pot of whole grains for a quick side for sautéed vegetables or grilled fish; wash and chop up salad greens. If half the work is done for you, you’ll be a lot less likely to order take-out after coming home from work ravenous. Need some quick-to-make, great tasting recipe ideas? Try these 10 healthy meals you can make in 10 minutes. This is a biggie: Don’t turn healthy eating in to a chore or you’ll dread it. This is a lifelong goal, so you need to find the foods you like and a lifestyle that works for you. Avoid food ruts by trying out new dishes with seasonal ingredients (like the myriad of fantastic recipes to be found at Fitness Republic) so that you look forward to mealtimes. Yes, restaurant meals are notorious for their jumbo portions and copious amount of salt and butter, but that doesn’t mean that you can’t find choices that work for you. One option is to dine at establishments that cater to health-conscious dieters (Japanese, Mediterranean and vegan establishments can all be great options). It helps to be savvy with how you order — try an appetizer portion for your entrée, or set aside half your meal to bring home (bonus: lunch is set for the next day). Double your recipes so that you not only have enough for lunch or dinner the next day, but also plenty to freeze as individual portions in a Ziploc bag or container. On a hectic week when you’re really crunched for time, you can pop your meal in the microwave and have something healthy and home-cooked in minutes. Cooking dinner during the work week can be incredibly stressful. Instead of facing the stove at 6:00 p.m. when you’re dead on your feet, prep your meal in the AM and come home to a fully-cooked, delicious dish. 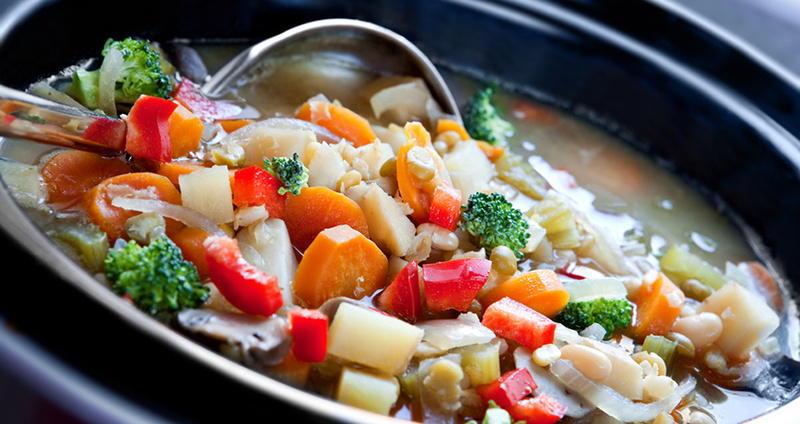 Here are 8 irresistible slow cooker recipes you’ll love. You can also use it for mornings by making a big batch of slow cooker oatmeal. Got the mid-afternoon munchies? Small snacks don’t have to derail your diet; just make sure that the snacks you do choose are filling and nutritious. Opt for a handful of roasted pumpkin seeds, a bowl of air-popped popcorn; an apple with a tablespoon of organic almond butter, a hard-boiled egg; hummus with sliced peppers or a serving of Greek yogurt. Need more ideas? Here are 10 healthy snack ideas for any time of day. Most of us don’t have a sous chef hanging around our kitchen just waiting to finely dice, chop and peel. If time is an issue, figure out any and all shortcuts and take advantage of them. Buy individual sized bags of frozen edamame and single serve portions of hummus or nut butters for bagged lunch. Yes, a fruit salad from the produce section is costlier than buying the whole fruit and doing the prep yourself, but time is money, so don’t be afraid to cut corners occasionally if you can afford it and if it can make your life easier. Ditto goes for frozen fruit and vegetables, which are both healthy and affordable, and are ready to pop in to smoothies, soups and stews. Pick up a rotisserie chicken from the market and serve with those whole grains you made earlier in the week and voila — dinner’s ready! 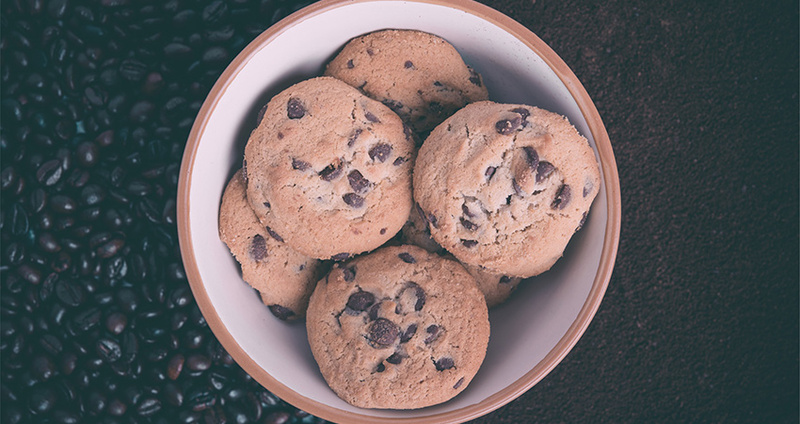 If you’ve ever found yourself going back for that third and fourth cookie, you’re not alone. Keep those trigger foods out of your house and they won’t tempt you. If you do decide to buy an indulgence, pick up a single serving only. You can probably get by just fine with your standard measuring cup, spoons, a cutting board, a good knife and a few pots and pans, but we’ve found that owning cool gadgets makes our lives easier and inspires us to make healthier food. A few of our favorites: a spiralizer to make noodles out of vegetables, a Yonanas machine so you can make frozen yogurt with nothing but fresh fruit, a food steamer for light and easy cooking and a Nutribullet or high-powered blender for whipping up smoothies or soups in a pinch. Remember, healthy eating should be a way of life, so you can and absolutely should enjoy desserts. Not only can you work an occasional indulgence in to your week, but there are plenty of sweet foods that are good for you, too. Think a bowl of frozen grapes, a plate of grilled watermelon, a small square of dark chocolate or a fresh fruit salad. 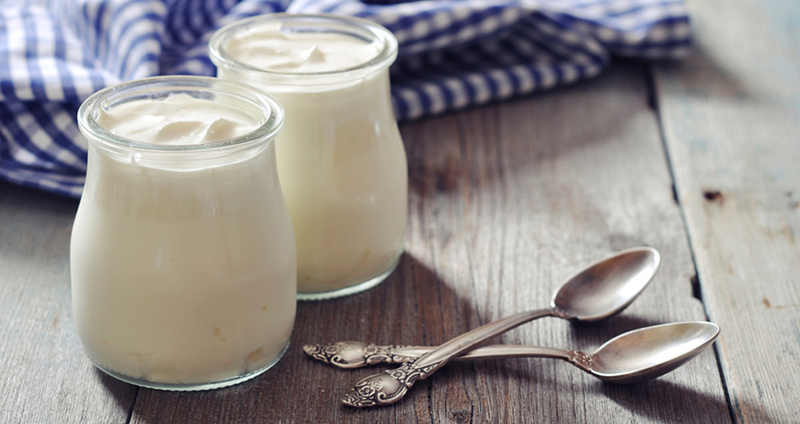 Here are 10 more healthy desserts for you to choose from. Got more ideas? Share your healthy eating hacks with us on Facebook, Twitter and Instagram! Planning a meal with a healthier taste is a worthy way of healthy diet. This is really helpful as I can have slow cooked food and having it in right proportion can make health and time efficient. End a meal with yummy dessert. These 10 healthy tips are best that I came across and most importantly this is a way of having a healthier life. Thanks for this best tips. My wife and I really want our kids to eat healthy, but we weren’t sure how to do it and stick to it. I really like that you say to get a slow cooker to help you prepare your meals in the morning. It would be nice to also have a cookbook full of recipes you can eat.